Cliff Notez (the hip-hop artist also known as Cliften Bonner-Desravines) has been nominated for a New Artist of the Year 2018 Boston Music Award, which annually recognizes outstanding musical talent in the Massachusetts area and aims to predict the future direction of music in Boston. Bonner-Desravines, whose hip-hop based music is jazz and blues inspired, last summer released his first solo album of 15 songs titled “When the Sidewalk Ends.” The album, which is available on Apple Music and Spotify, explores themes of racism, oppression, black mental health and identity. The Boston native wears many professional hats. He is a musician, filmmaker, photographer, writer and producer, who has worked with Boston University, Harvard, MIT and the Museum of Fine Arts Boston. Until January of this year, he worked full-time at The Institute of Contemporary Art/Boston (ICA) for three years. He ran new media programs and classes on film, music production and DJing, reaching about 2,000 Boston high school students each year. Bonner-Desravines is the founder and co-owner of the multi-media collective and production company HipStory, tapping into the master’s degree in digital media that he received from Northeastern University. 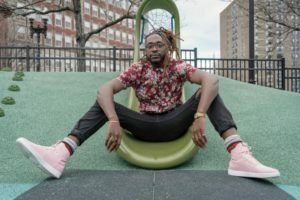 HipStory seeks to provide a platform to help tell the stories of marginalized voices and rethink how the stories have been told historically, he said. In 2017, he debuted his first narrative short film “Vitiligo,” which was accepted into 12 film festivals. It won a Best Short Film award at the March on Washington Film Festival, where he was honored alongside author Ta-Nehisi Coates. In March, HipStory was awarded a $15,000 Live Arts Boston grant from The Boston Foundation to support and grow the scale of the popular house parties featuring local musicians that he had been running mainly out of his apartment. In February, the MFA-Boston even hosted one of the live events. His musical roots go way back to growing up in a music- and basketball-focused family, where he sang in church choirs, and run straight through Wheaton, where he sang with the chorale, performed with iSpeak and created his first band, The Valid-Dictorians, in 2011. He produced and recorded five records with the band in the studio on campus, which helped launch him on the Boston music scene after Wheaton. However, the son of a social worker admits the real reason he picked psychology: “I’m first generation. I couldn’t tell my dad I was just studying music in college. I had to give him some type of hope that I was going to be a doctor or something,” he says, leaning back in his office chair laughing. 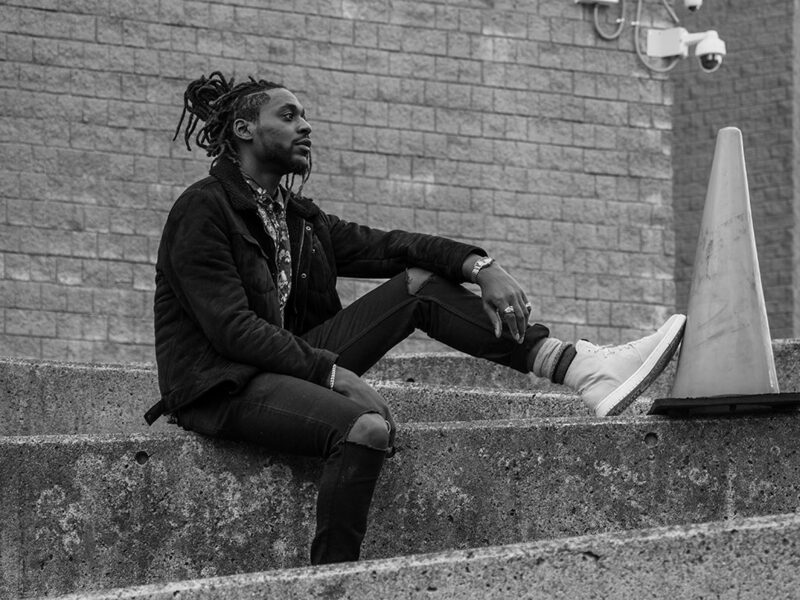 At Wheaton, Bonner-Desravines said he found the freedom and support to pursue all of his passions (from music to film and photography) and to reconsider dreams when necessary. In particular, he names professors Shawn Christian and Peony Fhagen (his academic advisor), and Raquel Ramos, dean of the Marshall Center for Intercultural Learning, for being inspiring role models. At 6-foot-7, he had dreams of playing in the NBA since childhood and was a forward on Wheaton’s men’s basketball team for three years. A twice-torn ACL changed his mind on that and got him focusing on alternative career plans, which became clear with a couple of internships, including one at National Recording LLC in Milwaukee, Wisc. Although he switched the plan, his student-athlete experience continues to be invaluable in his career. “I’m still using in business the principles I learned regarding teamwork and communications,” he said. Ramos recalls how supportive and encouraging he was to youngsters who participated in Wheaton’s basketball summer camps. And Christian can still picture him in the classroom: “I taught Cliff in ENG 101, first-year writing, and ENG 256, the novel in multi-ethnic America. In both classes, I remember him as relatively quiet but thoughtful. It was during his visits to my office hours, where I got a better sense of his diverse interests and energy. We had some really great conversations about a range of topics, from representations in course texts and Caribbean upbringings and food, to his interests in working with young people,” Christian said. “So imagine my great joy when, a few years after he graduated, I saw him helping to introduce [novelist] Jesmyn Ward at the ICA in Boston and addressing the audience, especially the youth in the room, with passion and conviction. I did not know that he’d been working there with its education outreach programs. The way he related his connection to Ward’s storytelling was really powerful and arresting,” he said.